Relatives of the disappeared protested the arbitrary practice and started marching towards the Galatasaray Square, upon which they were attacked by the police. Has Öcalan been issued “disciplinary punishment”? Kurdish People’s Leader Abdullah Öcalan’s family was prevented from visiting him with a new arbitrary excuse this time, stating that Öcalan was issued a disciplinary punishment. Wardens in the Elazig Prison turned off the cameras to attack the prisoners, including the elderly prisoners, who all say they won’t bow down. Sick prisoner Vefa Kartal has been on a death fast for the last 78 days because he isn’t provided with treatment, and for other sick prisoners like him. His brother Umut Kartal called for awareness. At least 7 non-combatants killed; residents say no military targets nearby. A group of German human rights activists have visited the Freedom for Öcalan vigil in Strasbourg and obtained information about the latest developments in Kurdistan. The Freedom for Öcalan vigil held in Strasbourg by the Kurds in Europe continues uninterrupted for 6,5 years now. Pressure against lawyers continue to grow. Ahmet Mandaci has been arrested, following the arrest of 4 lawyers. Selcuk Kozagacli was battered and detained, to be taken to give a statement. Out of the 17 lawyers who had been released from pre-trial detention on Friday, were re-arrested on Sunday. “Where there is no law, there exists resistance"
Human rights defender Günseli Suna Kaya has taken part in the popular resistance front against the governments that came to power after the September 12, 1980 coup in Turkey. She says, "Where there is no law, there exists resistance." Political prisoners are subjected to more oppression following the hunger strike they went on. Some prisoners in Elazig have been moved to solitary cells. Sick prisoners are unable to receive treatment. The Netherlands Council of State Court rejected a high ranking Turkish soldier’s asylum application for having committed “crimes against humanity in the Kurdistan region” during the 1990’s. 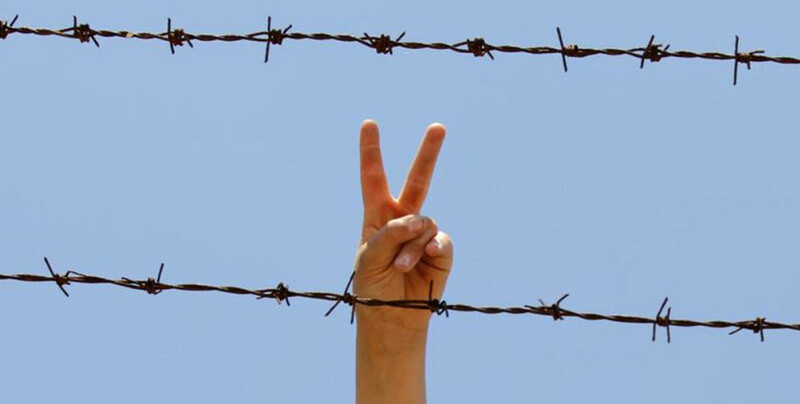 PKK and PAJK prisoners are on a three-day hunger strike for Öcalan and ill prisoners. The Tamil activists are cycling from London to Geneva demanding justice for their own people. 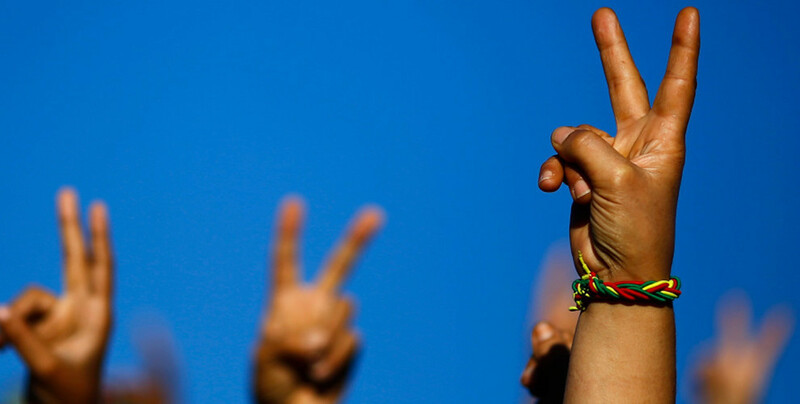 The Vigil demanding Freedom for Kurdish People's Leader Abdullah Öcalan has reached week 325 and has been took over by Kurds from Drancy, France. Prisoners are being subjected to heavy abuses and violence in Elazig and Kayseri prisons. Abdullah Öcalan's lawyers have applied for a visit with their client for the 786th time. The 150th Congress of the British Union Trade Union (TUC) has begun on Monday. A Court in Van has overruled the sentence by the Court of Cassation.